Wedding photography is something that helps the couple remember every little thing that happens on their special day. It captures their precious moments and turns it into some incredible. Every Image they capture is full of surprises and emotions. 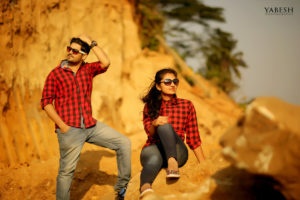 There’s a lot of professional photographers that are available in Coimbatore. There a lot wedding photographers all over the world but some of them can be found in Coimbatore. Some of the wedding photographers in this place is composed of a team or a husband and wife. They all professional when it comes to candid wedding photography. Photographers loves to capture different emotions, magical moments and surprises. They truly love photography and their goal is to provide every couple with an enchanting and incredible Wedding Photography Story. Wedding photographers in Coimbatore are considered to be the best in wedding photography. They capture the treasury memories of the couples through their iris and ensure that it will be something special. Each team of wedding photographers believes that photos are considered to be the true reflection of one self. All of the wedding photographers are truly passionate and dedicated to providing great wedding photography. A lot of people in Coimbatore chooses the best wedding photographers. This photographers is known to be professional and has the ability to capture and preserved special and cherished moments of the couples. They shoot weddings not only to tell the couple’s story but also for them to remember the emotions and the feelings they felt during their very special day. They make every Image something unique and special. The professional photographers can guarantee their clients that they can surely give their very best to provide their clients with the best photos that they deserve. Their wedding photography style is traditional and candid. They provide their client’s services like pre-wedding photography, videography, cinematography, Wedding Photography and a lot more. They are using the advanced digital technology for their photography. They are using the best equipment which is the canon camera. They send awesome, beautiful and well-edited pictures. Before they send it to their clients, they see to it that everything is well done so that clients will be able to see their efforts in capturing the best moment on their special day. Photographers of Coimbatore welcomes the potential clients to a new world of wedding photography as well as videography. They believe that photos are the reflection of the cherished dream of the couple, the priceless feeling and a defining moment. The prize of the services that the photographers offer depends on the wedding packages that the couple chooses. But most of services that they offer is affordable. The prize of each of the wedding packages is usually from ₹ 30,000- ₹ 1, 00,000. The services that they offer is good for one day. It depends if the couples would add additional service then they would also pay for that. Wedding photographers do not just send ordinary photos but that ensure to send awesome photos. Their priority is to make their clients happy by the time they receive the pictures.